El Proletariado de Aztlán (The Proletariat of Aztlán, 1979) depicts protagonists of the social and cultural movements afoot during Emigdio Vásquez's childhood in Orange County, Calif. 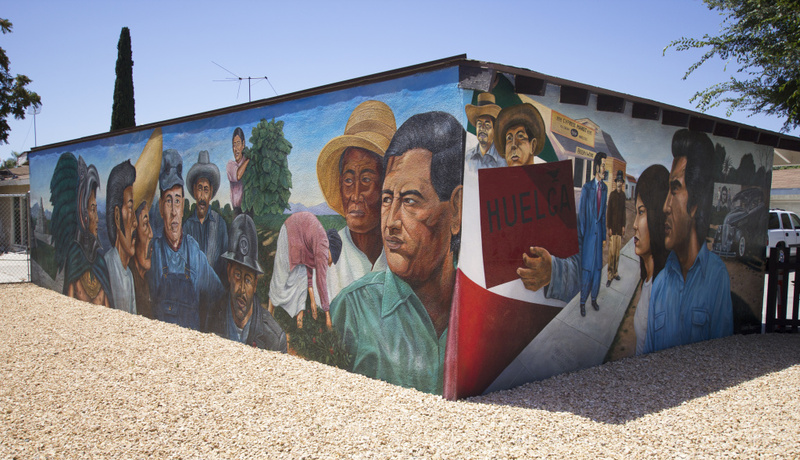 The mural, restored in 2014, is located on two sides of a garage in Orange. 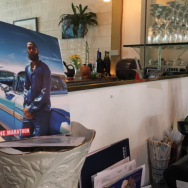 Orange County’s suburban sprawl doesn’t lend itself to leisurely viewing of street art. But now there’s an app that makes it easy to take a self-guided tour of murals painted by renowned Chicano artist Emigdio Vásquez. Vásquez, who died in 2014 at age 75, painted at least 30 murals on buildings, inside schools and restaurants and at parks in central Orange County. 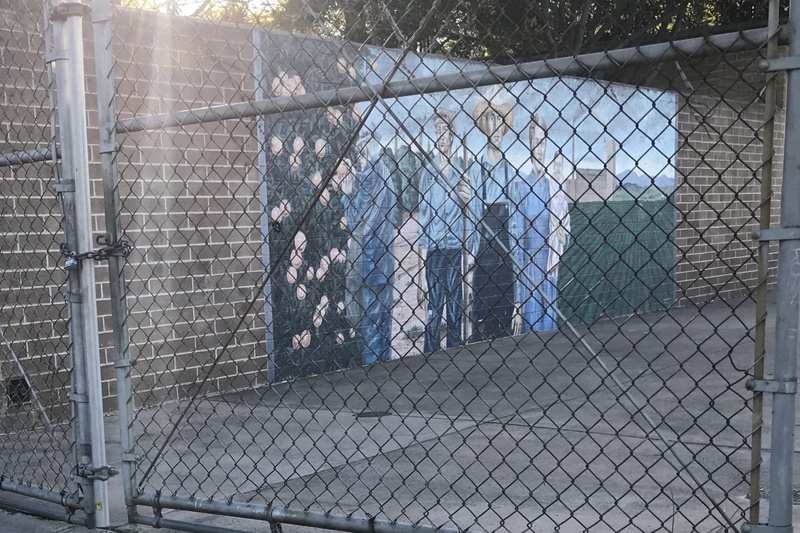 Some of Vásquez's murals are difficult to view up close, like this one inside the gate at the Memorial Park pool in Santa Ana. Titled "Chicano Gothic" (1987), the photo depicts the life of working-class Mexican-Americans in Orange County. The title and theme are a reference to Grant Wood's 1930 painting "American Gothic."